In his project, Images of Dignity, Hollis King gave voice to the residents in Harlem to display their concerns and stories about the change their neighborhood was experiencing through gentrification. He set up a temporary photo studio in the laundromat, inviting people to sit for their portraits while recording their personal testimonies to capture the identity and energy of a changing neighborhood. 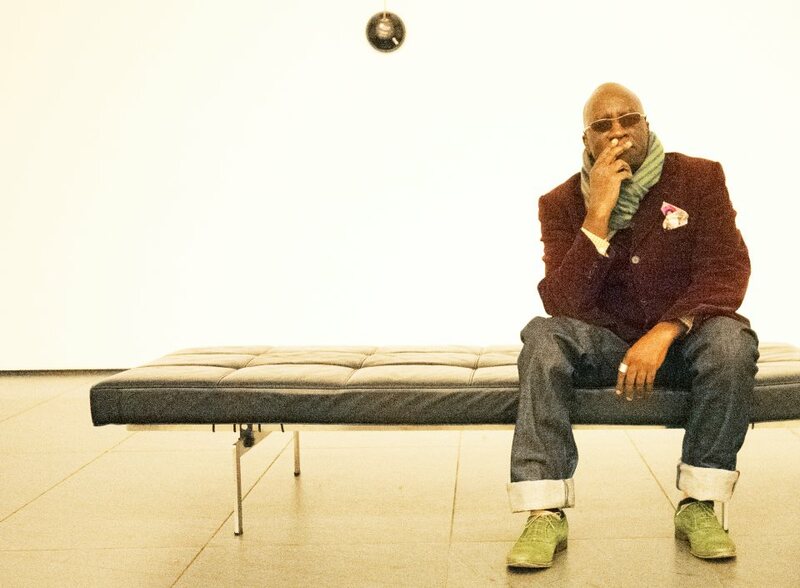 Hollis A King is former vice-president and creative director at the Verve Music Group the largest jazz record label in the world. He studied advertising and design at New York City Community College and later transferred to School of Visual Art where he studied with legendary artist Milton Glaser. King worked at several design studios before entering the music industry, as a graphic designer at GRP records, later becoming creative director. He then joined the Verve Music Group, a division of Universal Music Company, and worked with some of the greatest musicians of all times. King has received numerous achievement awards and citations as well as five Grammy Nominations. Currently Hollis runs his own creative company, sits on an executive board, and regularly lectures at FIT, SVA, Art Directors Club and Society of Illustrators.